It seems, increasingly, that sci-fi cinema does not take the possibilities of its genre seriously enough: the imaginative potential for summoning uncanny worlds, propelled into the future, but yet still holding enough of the recognisable present to be relevant. Instead, in Ender’s Game, we get a world abstracted from politics and history, a free-floating diegesis unanchored from everything believable. In this world, it has been fifty years since an alien invasion – commanded by the insect-like Formics and their sinister aerial fleet – decimated millions of human lives, and condemned our species to live out a mythology of constant threat and persecution: they may return in all their violent, colonising splendour and this time we must be prepared. As a consequence of this, children are being recruited into complex training programmes, and Ender Wiggan – prodigiously tactical and in the midst of minor adolescence – seems to be the best gambit for Earth’s survival. If this film feels like a prologue, and this divulges a number of its narrative and expositional problems, it’s because it is – it’s based on Orson Scott Card’s 1985 military science-fiction of the same name, the first in a series which generated thirteen novels, thirteen short stories and forty-seven comic issues. So director Gavin Hood (Tsotsi, X-Men Origins: Wolverine) has two challenges to negotiate, neither of which he does successfully. The first is to make this movie seem like an intact experience, enough in itself, when it is so obviously designed to do the work of setting-up a franchise of inevitable sequels. The second is to make this necessary act of exposition actually exciting – such a move would require not exiling the curious culture and politics of this fathomed universe, but rather exploring their strange contingencies; allowing us to feel the full sensation of its time and place. Ender’s Game neglects this, and even beyond this, feels like it’s constantly building up to a climax which never arrives. Ender – from first sight a pale weakling of a saviour – is pulled from Earth and sent into a galactic defence boot-camp, along with a cosmopolitan cast of similarly-talented youths. Here, they are to labour themselves into the routines of anti-gravity combat, militaristic discipline, and weapons technologies controlled remotely, not unlike a sophisticated high-stakes video game. 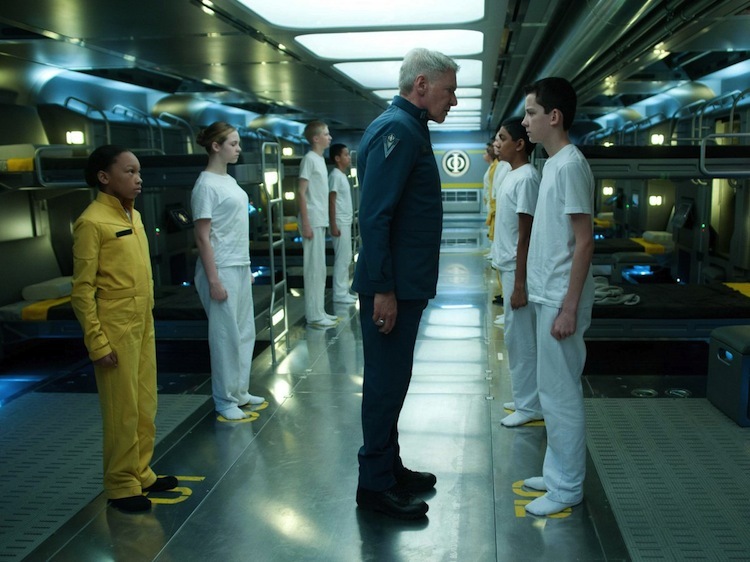 The militaristic training only constitutes one half of this bildungsroman, however – the other is Ender’s precarious accommodation within his various social circles.  He has authority problems with Colonel Graff (played by a gravel-voiced Harrison Ford whose efforts at a practiced seriousness lurch very quickly into terrible comedy, much like the drill sergeant, Dap). He has a sort-of nascent romance, emerging through all the exhausted tropes, with fellow trainee Petra Arkanian. And then he has various frictions with bullying classmates and his team-leader, Bonzo, played with absurd aggressiveness by Moises Arias, a knee-high sapling no more threatening than a legless caterpillar. And so the adventures in boot-camp continue, constituting both a kind of undernourished and extended psychoanalysis of Ender (he wants to please the father-figure; how will he handle frustration? ), and an occasion for special-effects, which comes to eclipse any sincere narrative desire. 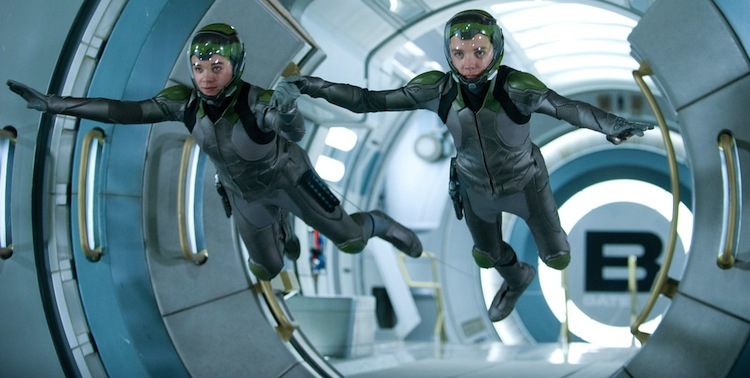 It’s often difficult to make sense of what the hell is going on, and the brilliant cover-system Ender’s Game has is that this can be attributed to the novel’s mythos; one can’t separate what is complex lore and what is simply unsatisfying representation on the part of the film-makers – although given the low-grade of the dialogue and quippery, and the often trite characterisations, one is inclined to resolve this in favour of the latter. That being said, the aesthetics of the film can’t be faulted as easily. It certainly creates itself from a very recognisable, perhaps even unoriginal, set of sci-fi designs, but it articulates itself in vast and morbid alien architecture, and stylishly-appointed spaceships and graphical control panels. Before I get to the final critique, this needs to be said: there is something utterly forgettable about this movie – the way it unravels its plot and twists, its sub-par acting (including a round by Ben Kingsley with an Australian-tinged accent, worthy of the fullest ridicule) and its “epic” music score; I hope the apostrophes are sufficient to indicate the mismatch of ambition and execution with which this comes across. Instead, the major problem of this movie is its attempt in literally the last fifteen minutes to speculate upon an extraordinary moral ambiguity, without any suggestion or development of this in the preceding one-and-a-half hours. I can’t release more than this cryptic critique, because this would give away some secrets carelessly enfolded within the narrative. But this really gets to the very centre of this film’s problems – a constant thrum that the morality and politics of its universe needs to be dealt with; and the failure to attend to this until a point so late in the game that it becomes absurd. 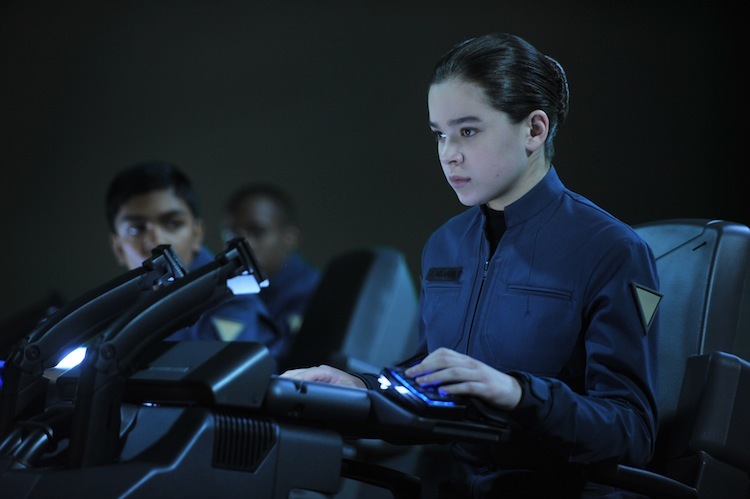 * Ender’s Game is on general release in cinemas today.